Grenada includes the island of Grenada and the southern Grenadines and Carriacou. It was granted associated statehood with Great Britain in 1967 and became an independent state in 1974. 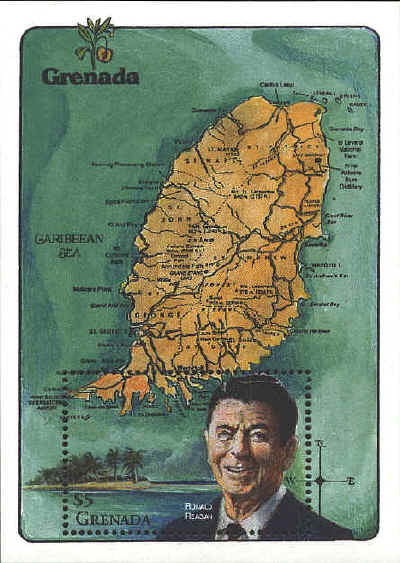 In 1979 a communist revolt took control of the island and remained in power until 1983 when it was occupied by the United States and general elections were held in 1984. The stamp was issued in 1981 to celebrate the second anniversary of the communist revolution. The souvenir sheet was issued in 1995 to commemorate the twelfth anniversary of the liberation of Grenada.